We’re all super excited for the official release of macOS 10.14 this fall. In the meantime, we’ve already started testing out the beta version which was released on Monday. If you’re anything like us, you’ll probably be doing exactly the same thing, which is why we’ve included preliminary support for the Mojave beta in our latest update. What’s new in VPN Tracker version 36518.1.1? 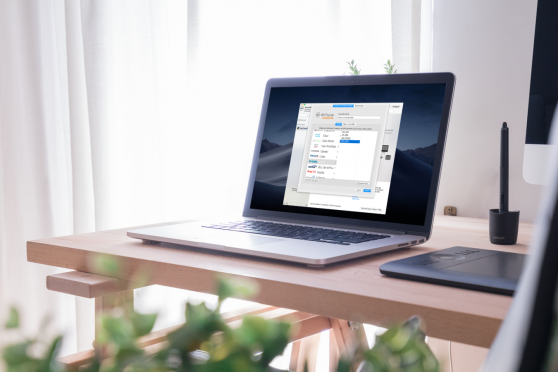 Whether you are a VPN administrator, or just need to get some work done over VPN while out of the office – thanks to this latest release, you can now do all of this and still get started with trying out macOS 10.14. 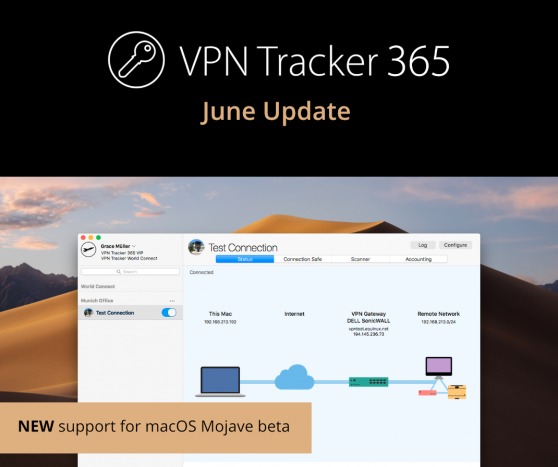 A VPN Tracker 365 plan is guaranteed to keep your sensitive data secure while keeping you up to date with the latest macOS version. Over the next few weeks we are excited to start optimising the app even further for you to ensure perfect compatibility with macOS 10.14. Connection group headers are not currently displayed properly. Connection on/off switches are displayed incorrectly while scrolling in the app. Since the release, we have already fixed a crash which was known to occur when launching the app under macOS Mojave. If you run into any further issues during your testing of the beta, please let our team know. Important – Allow beta testing: To be able to test the beta version, you need to first allow automatic updates for public betas in your VPN Tracker 365 preferences. To do this, click the checkbox next to “Get early access to Pre-Release versions.” Following this, you will always have access to the latest VPN Tracker 365 betas and will be able to test the app with the latest macOS version. More more information about new VPN Tracker 365 releases, please visit the version history page. Want to upgrade to a VPN Tracker 365 plan?